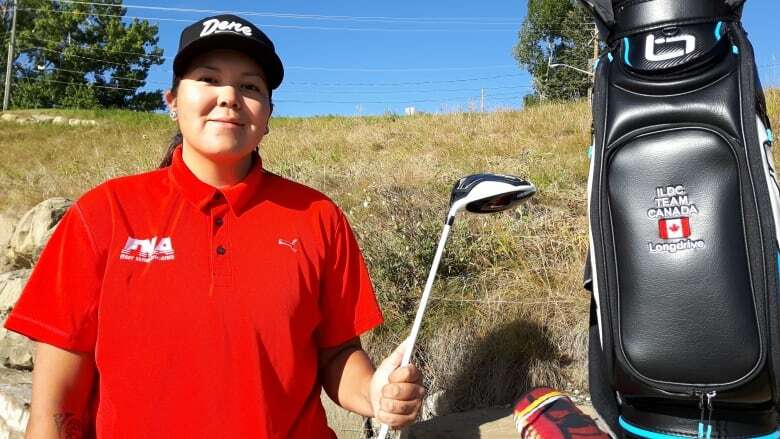 A Tsuut'ina Nation golfer is crediting less booze and more support from her role model for her recent 310-yard championship-winning drive at the Canadian women's division of the International Long Drive Challenge earlier this month. 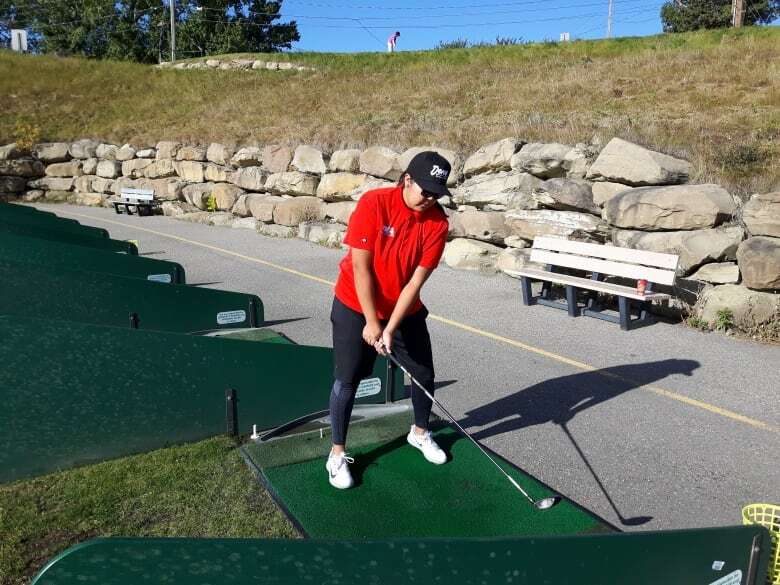 A Tsuut'ina golfer is crediting less booze and more support from her role model for her recent 310-yard championship-winning drive at the Canadian women's division of the International Long Drive Challenge earlier this month. Irene Crowchild will be off to compete on the international stage in early November and spoke with The Homestretch this week on what it all means to the 27-year-old. This interview has been edited for clarity and length and you can listen to the complete conversation here. Q: What was winning like? A: It's crazy. I absolutely had no thought that I would win, because I am a beginner. It's my first year. Who does this kind of stuff? Q: When did you discover you could compete in long drive? A: I remember learning about Lisa (Longball) Vlooswyk, and that's when I knew there were competitions. I want do that. Q: You went from getting serious in the fall of last year to winning the Canadian women's long drive championship with a drive of 310 yards. How did that happen? How did you prepare yourself? A: Just going to the gym and spending hours and hours at the range just trying to hit that perfect shot, over and over and over again. But there are a lot of missed shots. There are more missed shots than good shots. Q: How many balls in the last year have you hit to get ready? Q: What about the physical training involved? A: I do CrossFit and it's crazy hard. I am still sore from a workout I did Friday. I used to weigh 263 pounds, but I think I was heavier because that was two months before I stopped drinking that I weighed myself. I am now 215. That is a lot of fat loss and a lot of muscle gain. My fitness journey has been something else. Q: What motivated you to get sober about 18 months ago? A: I had to. I didn't like who I was. I broke my own heart, and to live like that for how many years? It's not a good feeling to wake up and not like yourself. Not like who you are. I tried it on my own but I could never make it past two months, two weeks. I would fall back into my cycles. I had to ask for help. That was the best decision of my life and I didn't even realize it at that moment. Q: How has your life changed since then? I appreciate who I am. I have my days. Sobriety is not easy but it's worth it. At the end of the day, if I am happy with who I am, that's what counts and I am really thankful for that. Q: How does staying sober improve your golf game? A: Sobriety is working on yourself every single day. You've got to put in the work for today to have today. This would not have happened if it wasn't meant to be. Q: First picked up a golf club? A: I started playing when I was 16, which is very late. I have always liked sports. I used to play hockey. When I found out I could hit a long ball, that motivated me to keep playing golf and make it my sport. Q: Long drive athletes usually use special golf clubs to hit the ball farther, but you went back to your regular driver. Why is that? A: I went to a driver I bought two weeks before the competition. Q: What went through your mind when you realized you had won the national championship, after all that you had been through? A: I just cried right away because everything released. The self-doubt, the not believing in yourself. From this competition, I believe in myself. Q: Do you see yourself as a role model for young people on the Tsuut'ina Nation? A: We as people impact other people, whether we like it or not. I just hope that the impact I have on others is positive. Q: Have you spoken with Lisa (Longball) Vlooswyk about this? A: She is not just my role model, she is my friend. She absolutely supports me. She called me a week before nationals and just wished me the best. There are moments that I still fangirl, "Oh my god, Lisa is calling me, she has my number." She actually does want me to succeed, actually does care. That means a lot, to come from someone that I looked up to. Now she's my friend. She planted the seed in me, competing in long drive competitions. I want to do what she is doing. With files from Doug Dirks and The Homestretch.